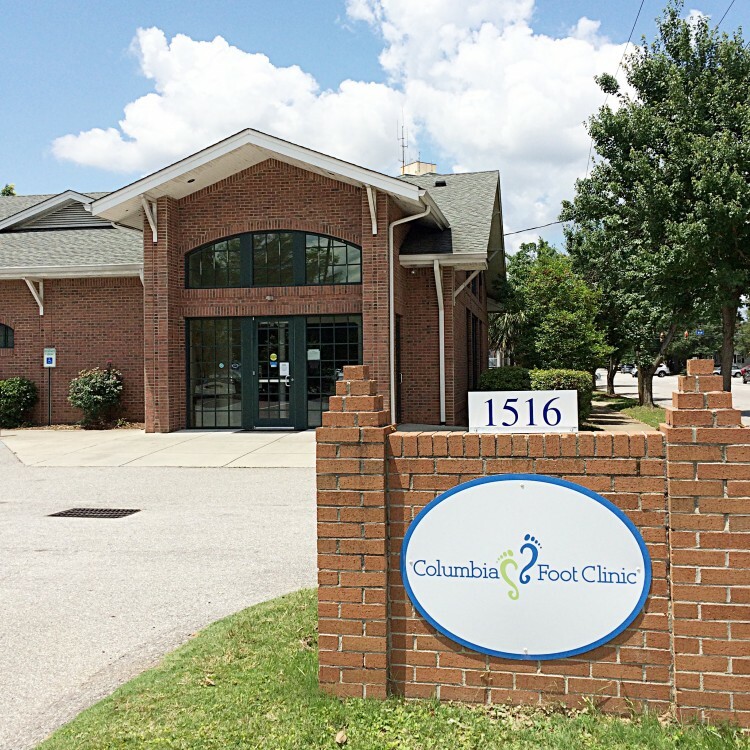 Welcome to the The Columbia Foot Clinic where we have been serving the "Heart Of South Carolina" and its surrounding communities for almost 40 years. We believe our longevity is due to our compassionate and experienced physicians and caring, friendly staff. Our doctors are trained in all aspects of foot health, care, and treat an expansive array of foot conditions- from preventative diabetic foot care to surgical reconstruction of deformities. We are pleased you have visited our site and look forward to meeting with you. ​​ Check out our commercial below. care provider for your treatment. for billing, claims management, collection activities, or obtaining payment. comply with the HIPAA rules and the compliance of any subcontractor with which they do business. the information is used or disclosed. ​Uses and disclosures required by law-This practice may use or disclose protected health information to the extent required by law. The use or disclosure will comply with and be limited to the relevant requirements of such law. victim of abuse, neglect, or domestic violence. information expressly authorized by such order or a subpoena. information for research, when the research has been approved by an institutional review board or privacy board, to protect your protected health information. with applicable law and standards of ethical conduct, use or disclose protected health information, in good faith, if we believe the use or disclosure is necessary to prevent or lessen a serious and imminent threat to the health or safety of a person or the public. Uses and disclosures for specialized government-This practice may use and disclose the protected health information of individuals who are Armed Forces personnel for activities deemed necessary by appropriate military command authorities to assure the proper execution, of the military mission, if the appropriate military authority has published by notice in the Federal Register. benefits for work-related injuries or illness without regard to fault. Right of an individual to request a restriction of uses and disclosures. ​This practice will permit an individual to request that we restrict uses or disclosures of protected health information about the individual to carry out treatment, payment, or health care operations or to others involved in your care or in payment. We will consider these requests, but we are not required to agree to them, except as discussed in the next section. information from our practice by alternative means or at an alternative location. to our Privacy Officer at the phone number listed at the end of this document. information is maintained in the designated record set. or disclosures made for which you had an opportunity to agree or object. You may receive one free accounting in a 12 month period. There will a reasonable cost based fee for additional requests. obligation to provide notice in accordance to HIPAA standards. may request and receive a paper copy. be available and posted at our offices(s) and posted on our web site, if applicable. the Secretary of Health and Human Services. This practice will not retaliate against any individual for filing a complaint. Services, 61 Forsyth St., SW, Suite 3B70, Atlanta, GA 30323.